You can find us at 414 Upchurch Street in Apex, NC 27502. We hope to see you soon. You will dig it! We are open 7-days a week! No appointment or reservation required! Open normal hours on New Years Eve, New Years Day, Presidents Day, Good Friday, Easter, Memorial Day, Labor Day and all other holidays in between! Feel free to message us or send us an email directly (info@treasurequestmining.com) with questions or to schedule a birthday party. 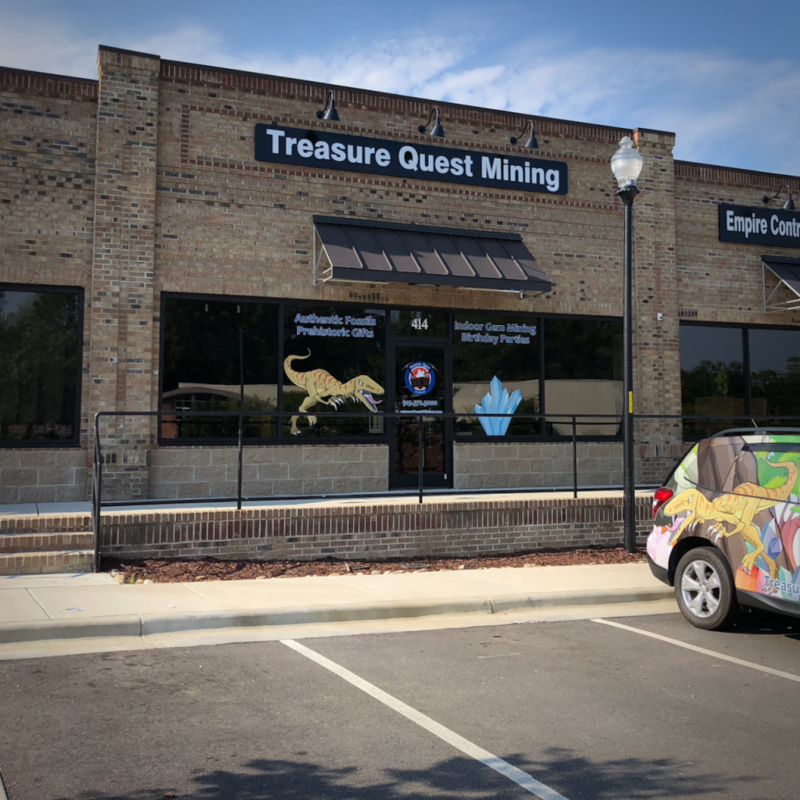 We look forward to helping you enjoy your next Treasure Quest!